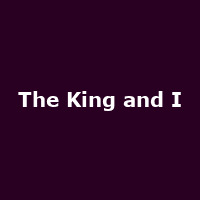 Musical from Rodgers and Hammerstein based on the story 'Anna and the King of Siam' by Margaret Landon. The plot comes from the story of British travel writer, educator and social activist Anna Leonowens, who became school teacher to the children of King Mongkut (Rama IV) of Siam (Thailand). The King and I was famously adapted for the big screen in 1956, starring Yul Brynner and Deborah Kerr. The 2018 Palladium run, directed by Bartlett Sher, features Kelli O'Hara as Anna and Ken Watanabe as the King, plus Ruthie Ann Miles as Lady Thiang.